Hi di hi lovelies! Hope your week is going well! Finally, I have a card to share with you! Valentines Day to name but a few!! The papers I've used are from Lidl. I love these little finds! The little border was cut with a spell binders die. as they want a Thank You card, I can't enter the challenge. & promarkers. I chalked round the edges with a liquid chalk inkpad. The bow is faux silk ribbon & I chalked it too. The flowers are Papermania & I've had them forever! The inside of the card, decorated in a similar fashion to the front. Thanks for stopping by! I hope you like my little card! Don't forget to enter my candy while you're here! Such a cute card...love the soft subtle colouring you did. Thanks for sharing with us at Brown Sugar. Good luck. o so cute and beautiful Dawn. I'm a cat lover and I do love this image! Wonderful color scheme and such a cute card! Dawn what a lovely image your card is beautiful. Wow beautiful Card and the Image is so cute. Fabulous card Dawn. Cute little kitty. Amazing colours you have used. Gorgeous and so loving the cute kitties. Fabulous design and loving the embellishments. 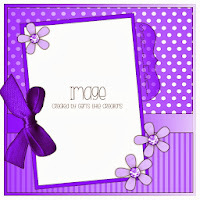 Cute image, lovely design and colours, thanks for joining us at Brown Sugar this week. So gl;ad you entered this gorgeous square project at Fantastic Tuesday, thanks for joining us. This is just adorable and a gorgeous take on the photo inspiration. A gorgeous card Dawn. 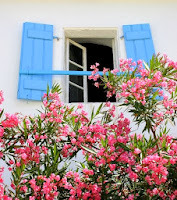 The image is so cute and love the colours you have used. Very pretty card - love the bright colors, that fancy ribbon and your coloring is awesome! Thanks for joining us at The Pink Elephant this week! Sweet! cute image. Thanks for joining us at Bearly Mine, good luck, and hope you will join us again. Adorable card. That image is the best for a love theme like you said. Thanks for sharing at Chalk Ah Lot.